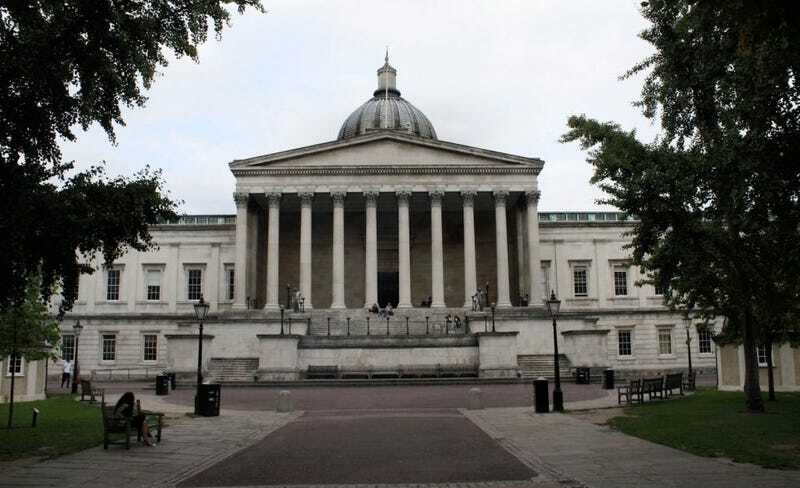 On Wednesday, the Guardian reported that the University College London had opened an investigation into a series of conferences on “eugenics and intelligence” that were somehow allowed to flourish covertly on its campus for at least three years. On Monday, the London Student newspaper revealed in an exposé about the conference that Toby Young, the head of the New Schools Network, attended the conference last May. Yesterday, Young announced he was resigning from his post as director of the Office of Students, as well as his position as a Fulbright Commissioner (meaning that while he was not an employee of the Fulbright Commission—which manages student scholarships—he was on their selection committee), according to the Guardian. I guess that means it’s pretty easy for any large group of people to just stroll up to a building on UCL’s campus and conduct meetings there for several days. Perhaps the investigation will shed some light.